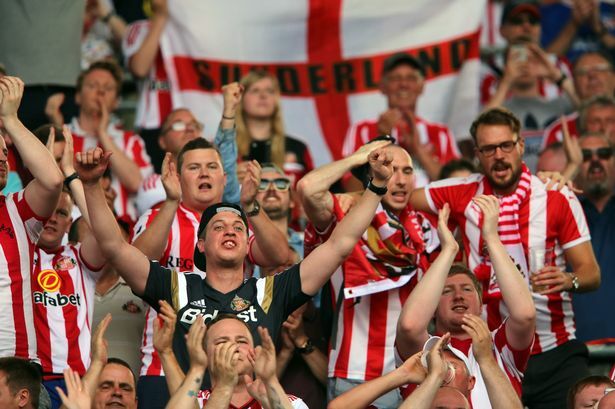 I Love Sunderland – Page 9 – Who would ever choose to be a Mackem? A poor Sunderland side were defeated against an impressive Wolves side. It spared the Wolves chairman the embarrassment of calling McCarthy to account only days after allowing the chief executive Jez Moxey to respond to unhappy fans by reaffirming their backing for their under-fire employee. With 13 minutes left, Danny Welbeck headed Sunderland in front, diverting Phil Bardsley’s cross wide of Hennessey. But, as McCarthy never tires of repeating, Wolves can seldom be faulted for effort. Sunderland lost their composure at the back and when a Jarvis cross was headed back across goal by Elokobi, Gordon could not save cleanly and the substitute Stephen Hunt forced home his first Wolves goal. Darren Bent has hailed the spirit of the Sunderland team after they game back from a goal down to draw against Arsenal. The Black Cats have made a steady yet unspectacular start to the 2010/11 campaign, taking six points from their opening five games. The latest of those came against high-flying Arsenal on Saturday, as a last-gasp leveller earned them a share of the spoils in a 1-1 draw. Bent proved to be the hero of the hour on that occasion, as he pounced deep into stoppage-time to hand Steve Bruce’s side a hard-fought equaliser. The England striker is hoping Sunderland can continue to show such spirit throughout the remainder of the season, with it vital that they are able to scale those heights if they are to secure a top-10 finish. Rennes chief Dreossi has spoken on Gyan sale saying that Sunderland made offer he could not refuse. Sunderland splashed out a record fee for the Ghana international on transfer deadline day. Rennes general manager Pierre Dréossi said: “We wanted to keep Asamoah for another year and sell Ismael Bangoura, but the offer from Sunderland was not refusable neither for the player nor the club. Sunderland are interested in signing veteran England international, David James. The 39-year-old is set to leave Pompey after failing to respond to the club’s contract proposal before the deadline to answer passed. James is preparing to open negotiations with Scottish side Celtic, but Sunderland are going to try and make a bid for the veteran goalkeeper, according to Sky Sports. Black Cats number one goalkeeper Craig Gordon will miss the beginning of the season after suffering a broken arm, and back-up Martin Fulop is believed to be leaving the club this summer. Sunderland manager Steve Bruce is now left with minimal goalkeeping options and could now turn to James to solve his problem between the sticks. James, formerly of Watford, Liverpool, Aston Villa, West Ham and Manchester City, became England’s number one goalkeeper at the World Cup, playing in the Three Lions’ three matches in South Africa after Robert Green’s mistake in the first group game against the United States. It appears that striker Darren Bent has failed to impress in an England jersey once again and has been left out of the World Cup squad, Mirror Football is reporting. According to the report, the Sunderland forward – who was tipped by many, including his club manager Steve Bruce and team-mates to make the squad for the trip to South Africa, was axed from the original 30 man squad Fabio Capello finalized for the tournament this morning. Bent was the second best English goalscorer this season with 24 goals but his form for England has not been as productive. It was the second successive World Cup Bent will missed out at the final stages, having suffered the same fate before the Germany 2006 tournament. SUNDERLAND are today said to be preparing a £9m double summer swoop on manager Steve Bruce’s old club Wigan. The former Manchester United player is a long-standing admirer of the Latics’ Honduras defender Maynor Figueroa, and tried to sign him in the January transfer window. And, according to today’s Daily Mirror, he is also keen to bring goalkeeper Chris Kirkland to the Stadium of Light, to compete with Craig Gordon for the No 1 shirt. Bruce signed Figueora, 27, from Olimpia for a miserly £250,000 two years ago, and Wigan has warned it will take a bid of around £8m to prise him away. Bruce is said to fancy his chances at around £6m, however, and could also make a bid for England international Kirkland, who is on big money at the DW Stadium, and could be moved on to reduce the wage bill. 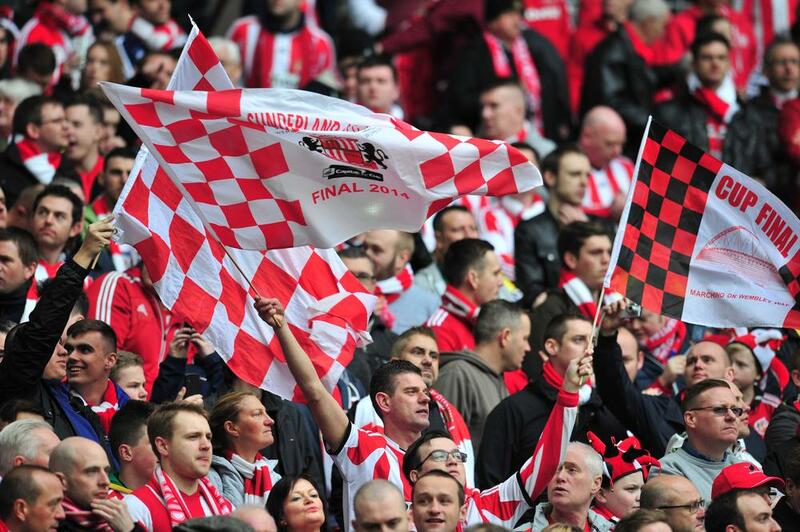 We all love Sunderland, and probably share the same viewpoint on much that goes on at the Stadium of Light. But there will be some amongst us who can get it down on paper better, and explain exactly why Lorik Cana needs to be moved further up the field, or why Gordon needs to be dropped to the bench. If you have strong views and can write well, then we want to hear from you. Send us a sample of your work to worldcupfootballfans at googlemail.com and if you’re lucky you could be writing right here!